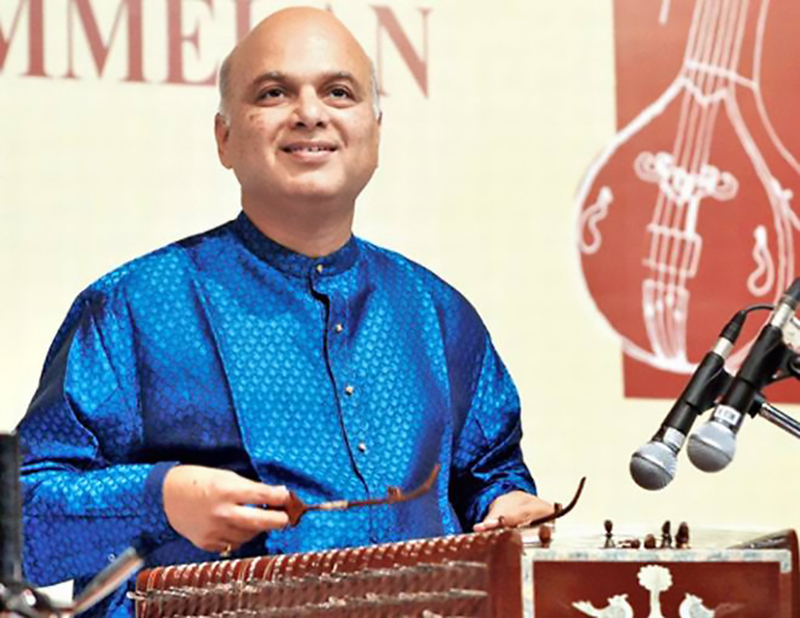 Born on 16th November 1952, Pandit Satish Vyas started learning vocal music from his father at the age of 14 as a result of listening to a Santoor recital. Although his initial grounding took place in the idiom of his father's lingo as it were, it was to Santoor that young Satish's heart was set. At the request of his father, Pandit Shiv Kumar Sharma took Satish on as his disciple. The combination of training under both his father and Shivji has given Satish an ability to display gayaki ang as well as layakari / tantrakari ang in his Santoor playing. Pandit Satish Vyas has been a regular concert artist for the last two decades or so, performing and recording all over India and the world, more extensively in the USA, UK & Europe, Japan and Australasia. He has contributed materially in popularising the Santoor in remote places, not only performing in small villages and towns in India but abroad as well, in addition to major city centres. In 1997, he was the only non-Western instrumentalist invited to perform in Venice, Italy at the "Mostra Mozart Festival", organised by the prestigious European Mozart Foundation. Satish Vyas manifested his versatility by performing as a "guest musician" with the Jazz / World Music Fusion Group, "Silk" accompanying the renowned vocalist Shankar Mahadevan, the Percussion maestro Shivamani, well known Composer /Pianist / Keyboard artiste Louis Banks and Karl Peters (Bass Guitar) at a Barbican Centre concert in London. Although Mukundraj received initial guidance in Indian classical music from his mother, Mrs. Manjiri Deo, a well known Kathak Dancer, the Late Pt. Brijraj Mishra of Banaras Gharana & Pt. Mridangraj of Ajrada Gharana were his teachers in tabla. He was awarded a National Scholarship (1990) and a National Fellowship (1999) by the Government of India. 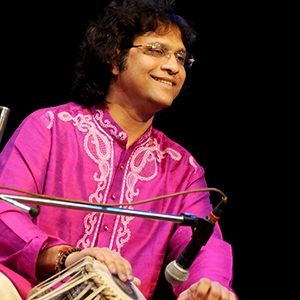 He holds a degree of Sangeet Visharad in tabla and is a recipient of TALMANI title from Sursinger Sansad of Bombay. An 'A' grade artiste of All India Radio & Doordarshan, Mukundarj is a college graduate in commerce. For the past few years, Mukundraj has been performing all over the world as a soloist and as an accompanist to many well known performers of instrumental and vocal music as well as Kathak dancers. Among them are artistes such as Pandit Jasraj, Begum Parveen Sultana, Pandit C.R. Vyas, Dr. Prabha Atre, Pandit Prabhakar Karekar, Mrs. Arti Alkalikar-Tikekar, Pandit Birjoo Maharaj, the Late Nataraj Gopikrishna, Ustad Rais Khan, Dr. N. Rajam, Pandit Kartik Kumar and Shri. Satish Vyas. He has travelled with many of these musicians throughout India and many countries of the world. He has been invited to perform in several prestigious music festivals and conferences throughout India and abroad.